Not long ago, I passed along the thrilling information that Icelandic skyr was going to start being exported to Whole Foods in the US. I checked on this when we got to Arizona, but unfortunately, no skyr (at least no Iceland-made skyr) was in stock. 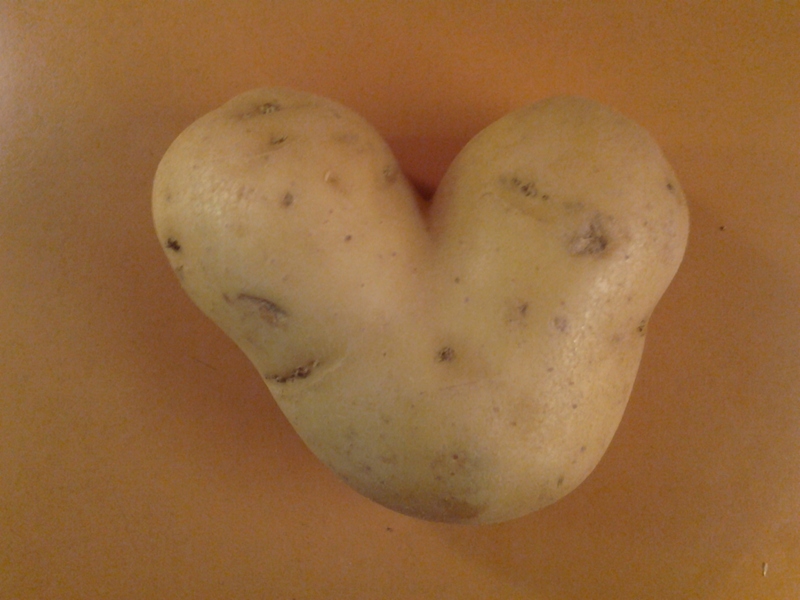 And then, last night: Ta Da! 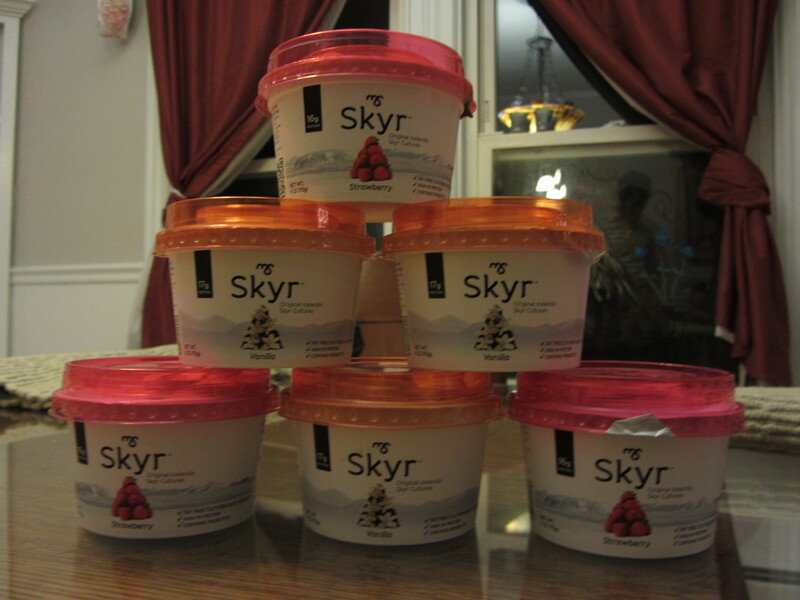 Feast your eyes, America: Skyr is here! Just imagine that you are hearing a (my) goofy, child-like giggle on loop as you look at this. I will admit that the imported skyr is not a cheap deal: it set us back about $2.39 a piece. But it’s so filling and thick and creamy! And so heart-warming. Totally worth the splurge. 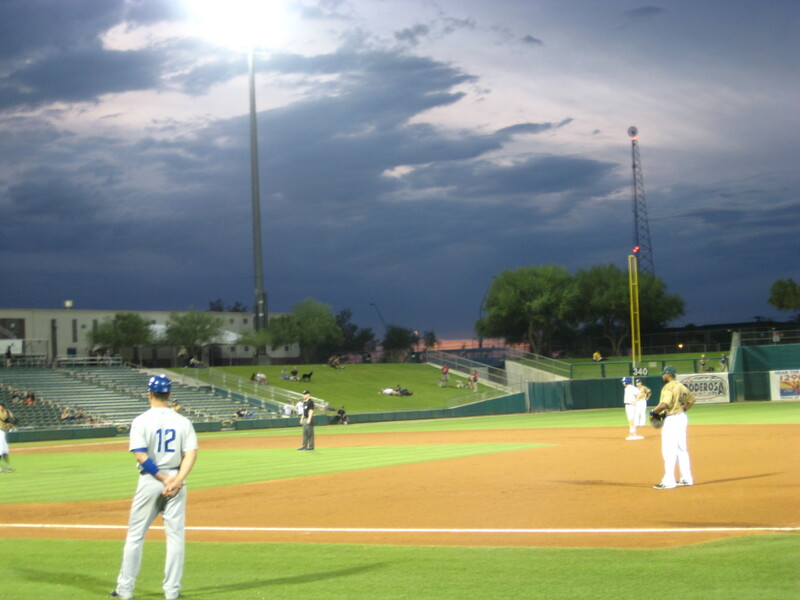 We had last week off from our summer jobs and so Mark and got to enjoy all sorts of desert-y things in our free time, culminating in a trip to the movies (nothing more desert-y than avoiding the heat in a movie theater) and a minor league baseball game (Yay, Toros! Padres!). 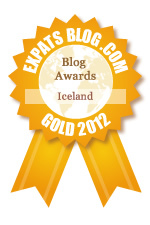 Well, that’s great, Larissa, you say, but what does this have to do with Iceland(ic)? Not a whole lot, really, but both of the above-mentioned outings did give rise to semi-related Icelandic experiences which I will now relate to you. Unlimited self-serve popcorn and soda (!!!!). At the front of the theater, as you enter, there is a little heated truck ‘o popcorn and a soda dispenser with cups and bags. You just help yourself, as much as you want. 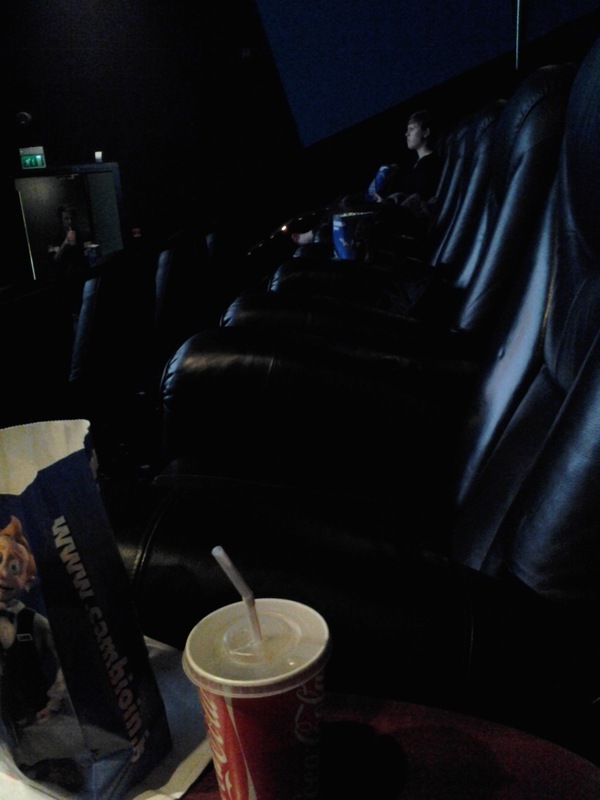 Unlimited self-serve popcorn and soda (!!!). This is worth mentioning twice because I love popcorn immensely and always hate how expensive it is in theaters. Popcorn is actually pretty affordable in Iceland, I am pleased to say, but it is served in reasonable portion sizes, and so the unlimited option feels like a particularly decadent treat. The only thing that wasn’t utterly awesome about this experience was that they skipped the intermission, to which I have grown accustomed, and which would have served as a good time to refill on popcorn and soda. This omission caught everyone by surprise; very few people got up for refills because they too were waiting for the break. Never fear, though, I was emboldened enough by my excitement to get up (I was on the aisle, thankfully), duck my head, and dash to the popcorn for a mid-movie refill. My boyfriend does not eat meat. Mi novio no come carne. 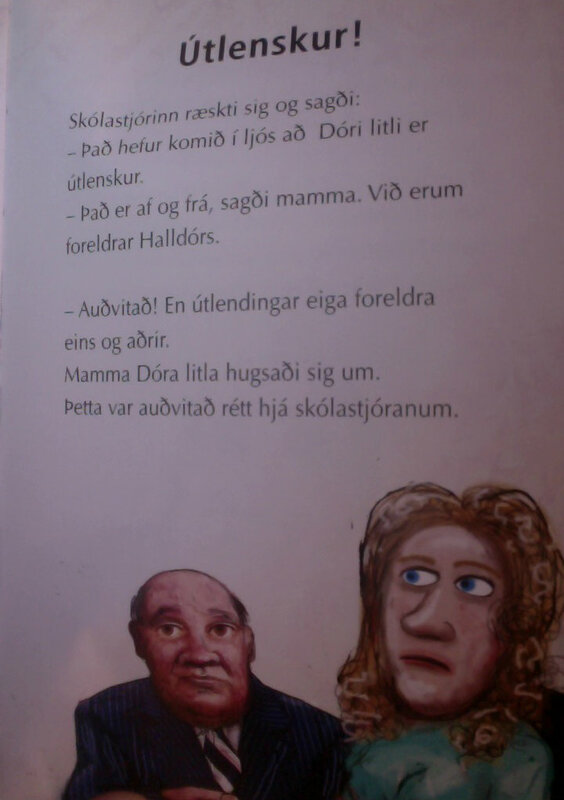 Kærastinn minn borðar ekki kjöt. Is it possible to order the tacos without meat? Es posible pedir tacos sín carne? Er hægt að panta tacos án kjöt? Hello again, dear readers—this time from Arizona! Having left Iceland in a flurry, landed in New York just in time for a Memorial Day BBQ, and departed in yet another flash, we’ve now settled half way around the world (and a seven hour time difference) and will actually be here long enough to unpack. Thrilling stuff! It is amazing to me how quickly you can adapt to changing surroundings, once you get in the swing of doing so. When we first uprooted and moved to Iceland from Brooklyn, it was incredibly stressful, and felt, at times, downright impossible. Nine months later, we’re blasting through time zones and weather patterns like it’s nothing. Well, not exactly nothing: for the first few days here in AZ, I was falling asleep before 9:00 PM and in something of a daze—possibly because it is now regularly above 108 degrees outside (that’s above 42 C, for reference), and (to my immense satisfaction) very dry. But I’m adjusting much better now, six days in, and am looking forward to early mornings, massive quantities of Mexican food, family time, friend BBQs and trips to the zoo, swimming in cool water for a change (although probably not all the chlorine), long-distance Icelandic practice (see below), and the incredibly soothing summer smell of sunscreen. My day job this summer is full-time, and full-time away from the internet at that. This is probably not a bad thing, but it does mean that I’ll need to be more creative about when I do my promised post catch-ups and the occasional news-from-Iceland note. For the time being, however, how about a few good vocab words that I just learned this morning in my pre-work Icelandic lesson? Já? Frábært! Please stop making us all look like morons. American tourists had to be rescued from an ice floe that broke off of the edge of the glacier Vatnajökull while they were having a picnic. Photo via RÚV, news via pretty much every news organization and blogger in Iceland right now. Fans of the show will get a double-dose on May 19 as two back-to-back episodes will end the season. One episode will be entitled ‘The Saga of Carl Carlsson’, named for Homer Simpson’s colleague at the nuclear power plant and drinking buddy, who also happens to be an African-Icelander. In this episode, Homer, Carl, Lenny and bartender Moe win a lottery jackpot together and plan on splitting it, but Carl decides to make off with the money and heads to Iceland. The other three won’t let him get away with it though, and will embark on a journey up north. …the original piece by Sigur Rós weighs heavily into the episode, which also features the band’s members drawn as characters. A Sigur Rós cover of the Simpsons theme song by Danny Elfman is also in the cards. The episode–which is not the first Iceland-related Simpson’s episode, by the by–is set to air on May 19th. So mark your calendars and set the VCR TiVo, and someone invite me over for a viewing in June! The Library Yet to Come: Our Little Free Library Kit Arrived Today! But still, iconography is a funny thing. A grocery store here in Reykjavik recently held its “America Days,” featuring red-white-and-blue bunting and cardboard cutouts of Elvis, John Wayne and Obama surrounding displays of Twizzlers—this sort of mockably transparent enthusiasm to participate in what you and I take for granted is everywhere in Leone. Who but a foreigner would begin a movie called Once Upon a Time in America with Kate Smith? So if you are interested in such things as film, garbled national iconography, and “dubious depictions of the flesh,” I recommend popping over to Fanzine and checking his piece out.